Tampa’s Doughnation has done it again. The Cookie Melt is Doughnation’s latest creation and it is spectacular. It takes the classic chipwich we grew up on and improves upon it in every way. 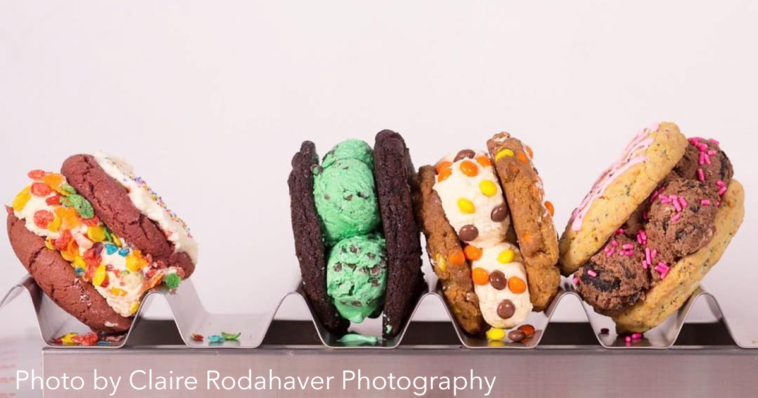 The edible cookie dough palace sandwiches the ice cream flavor of your choice (we favor mint chocolate chip) between either two fresh made cookies, brownies or doughnuts. You can add toppings like chocolate chips, Fruity Pebbles and Reese’s Pieces. This ‘ooey gooey masterpiece’ is kind of the perfect Florida dessert considering our summer hear never ceases. Doughnation isn’t your average sweet shop. Every item purchased goes toward supporting its parent company, Metropolitan Ministries, an organization that works tirelessly to feed the hungry in Tampa Bay. The restaurant functions off of a unique social enterprise model. The concept ensures that Doughnation will continue to deliver sweet innovation. The sweet shop serves as a training platform for the students of the Metropolitan Ministries culinary arts program. Several graduates of this program now work at the best restaurants in Tampa Bay. If you’re still hungry after the cookie melt, you can always grab a scoop of the edible cookie dough in a giant waffle cone. Where is Doughnation located? Doughnation is located at 505 North Tampa Street.